Does Your LinkedIn Profile Picture Represent Your Brand? People form an immediate impression about you when they view your LinkedIn profile and the most visible element is your LinkedIn profile picture. The worst thing you can do on LinkedIn is to not have a profile picture, and the second worst thing you can do is have a profile picture that leaves an unprofessional impression for people you want to connect with and influence. Plus, LinkedIn research has shown that profiles with a picture are seven times more likely to be viewed. Since your profile picture represents your online brand and identity, it is critical to make sure your profile picture is the best it can be whether you are actively looking for a job or planning to look in the future. So, what can you do to make sure your profile pictures represents your personal brand? Check out these tips and examples of professional and not-so-professional profile pictures. We also recommend that show your picture to several others and incorporate their feedback before uploading it to LinkedIn. The simplest advice is to look at your photo and ask yourself, would you hire this person? How Are You Using LinkedIn? This blog post originally appeared on the AppleOne Career Seeker Blog. 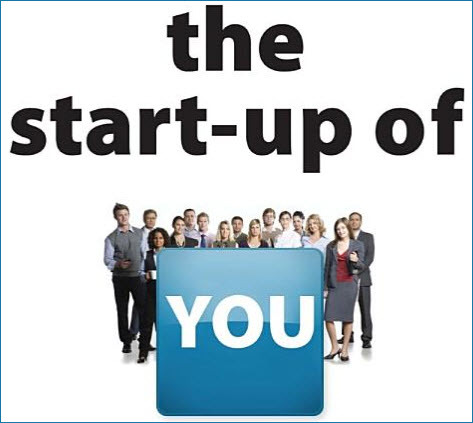 If you are looking for an innovative way to look at your career, you should check out the “The Start-Up of You” by LinkedIn co-founder and chairman, Reid Hoffman and Ben Casnocha. While the book is almost two years old, the career tips and insights are relevant for anyone interested in managing their career. If you don’t have time to read the book, you can read the executive summary in the Slideshare presentation below and still receive most of the insights to apply to your career. This entertaining presentation is 190 pages long, but each page has a single useful snippet of advice or information so it is a quick read. You can find additional resources at the Start-Up of You website. This post originally appeared on the AppleOne Career Seekers blog.